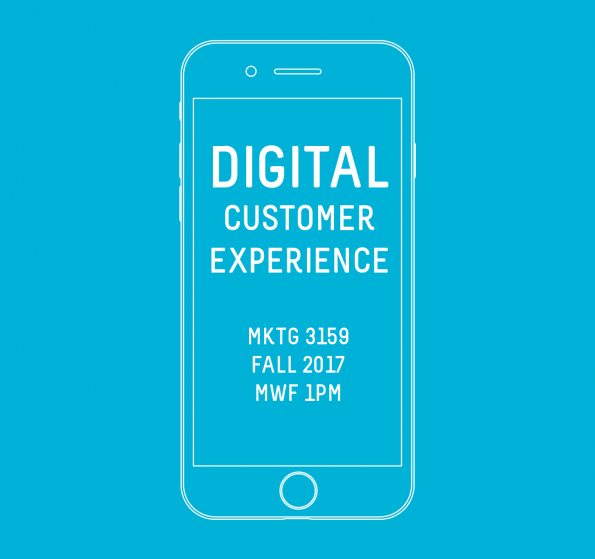 If you’re looking for a great class to take at UNI in the Fall of 2017, you will want to get enrolled in Digital Customer Experience (MKTG 4150). 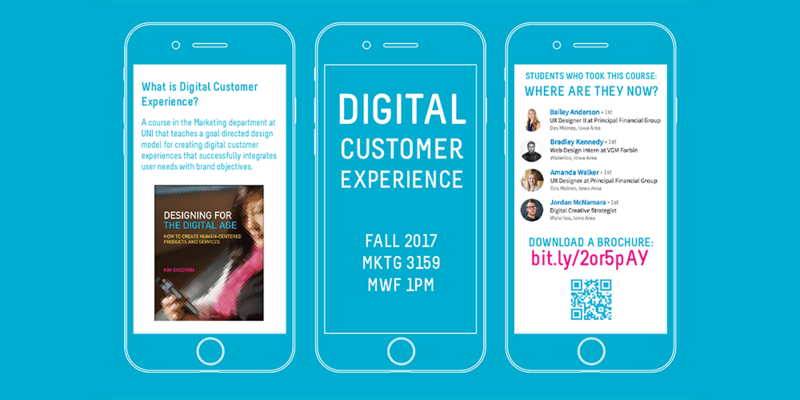 This is a new course being offered that is of particular interest to IDS majors in the digital advertising, digital writing, digital imaging, digital visualization, and digital computation bundles. A course in the Marketing department at UNI that teaches a goal directed design model for creating digital customer experiences that successfully integrates user needs with brand objectives. Why Study Customer Experience (CX) and User Experience (UX)? With the increasing number of new digital messaging and engagement platforms (web sites, microsites, landing pages, apps, touchscreen kiosks, social media, and augmented reality), digital marketers today must grasp the fundamentals of how to strategically develop successful digital experiences. Digital Customer Experiences must be strategically designed. This course will center its focus on goal directed design models to create digital experiences that users find intuitive, empowering, and easy to use. 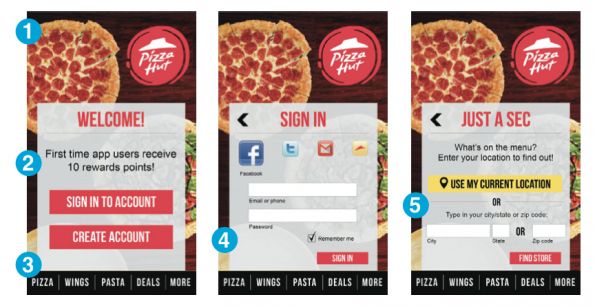 Mobile app screen designs for Pizza Hut. How Can I Learn More About This Class? For more information, contact UNI Professor Matthew Wilson. Matthew Wilson is an Instructor in Marketing at the University of Northern Iowa. Matthew teaches courses in Digital Advertising, Advertising Campaign Development, and Experiential Marketing. He is passionate about the Interactive Digital Studies program at UNI and is also the faculty advisor for AAF-UNI, the college chapter of the American Advertising Federation. Matthew is a creative director with 18 years of experience working in advertising, interactive design, video production and experience design.